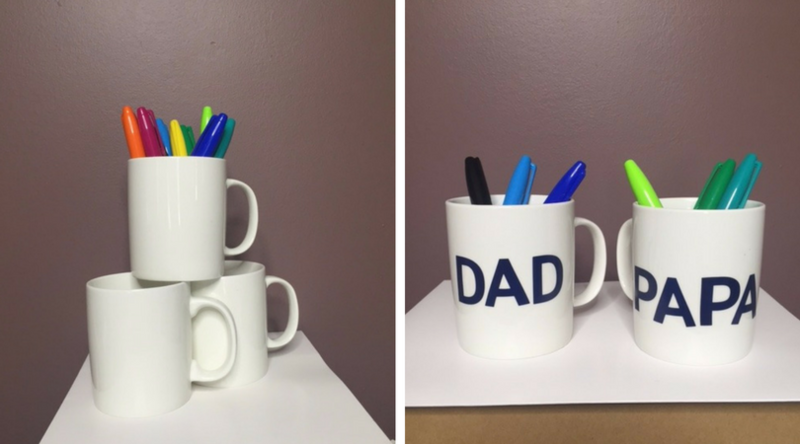 First – we put the letters on the mugs and decided what colours we wanted to use. Second – we decide what kind of decoration we want to do. 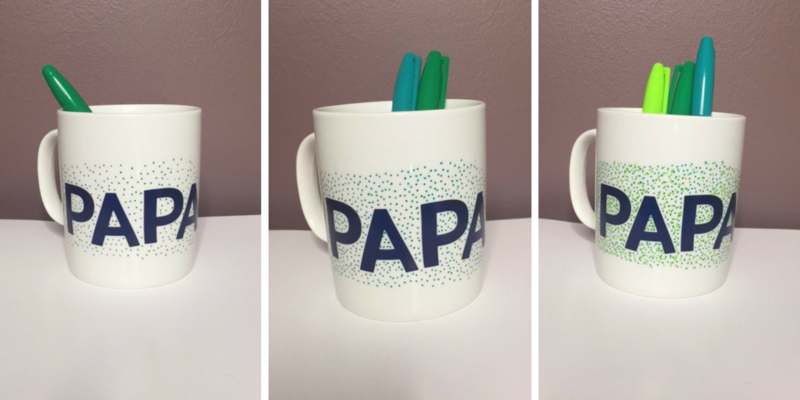 It can be as simple as layering polka dots as you can see on Papa's mug. Or adding smiley faces and different sized dots. This is where depending on the age of your child will depend on how difficult of a pattern that is done. 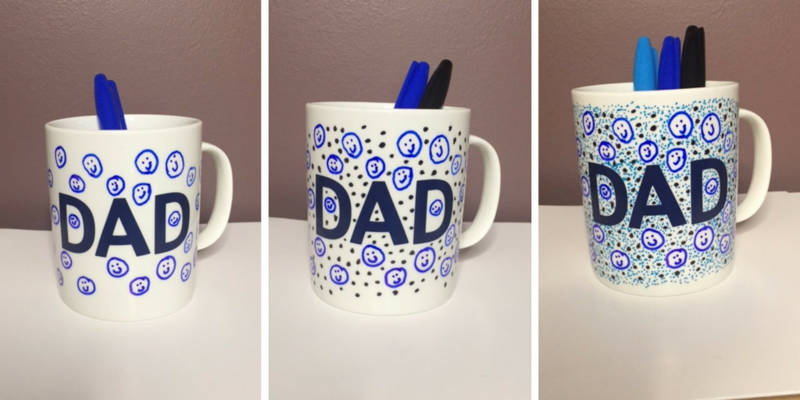 Once you are done with your design let the marker dry for an hour before peeling off the stickers. 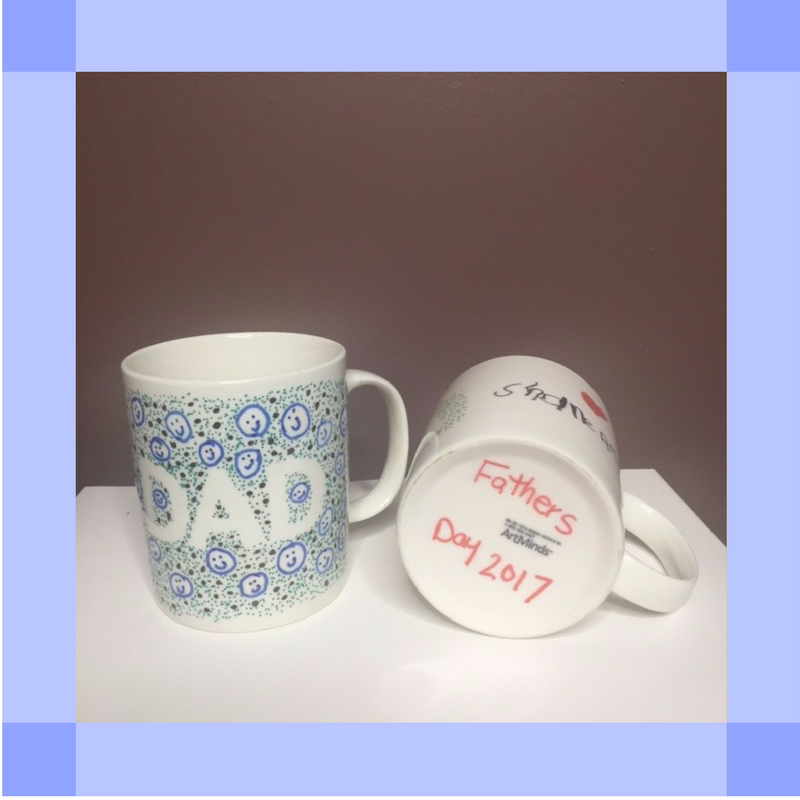 Third – Get your little ones to write their names and be sure to put the date on the bottom of the mug! Now to set it! 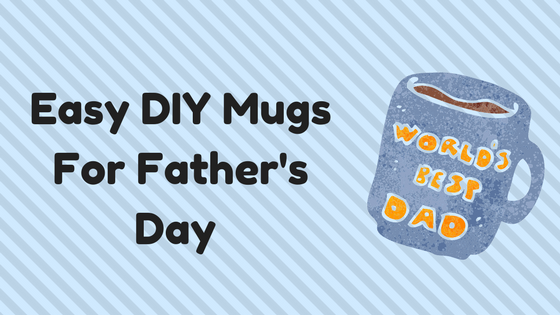 Put the mugs in the oven at 350 degrees right away. DO NOT pre-heat. You want the mug to heat gradually so that it does not shatter. Set your timer for 30 minutes. Once the timer goes off, turn off the oven and keep in the oven for 30 more minutes letting them cool down gradually also. That's it – how easy was that? Wishing a Happy Father's Day to all the amazing dad's out there.